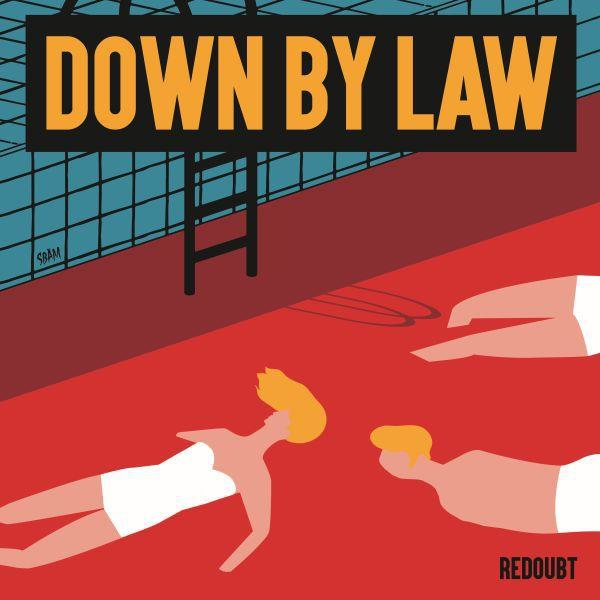 Pine Hill Records presents Down By Law's latest endeavor: the "Redoubt" EP, a follow-up to their 2018 album "All In". The band continues onward strongly with their signature melodic punk rock sound, a torch they've been carrying since 1989! Now celebrating their 30th anniversary, Dave Smalley (ALL, Dag Nasty, DYS) has kept the band moving along swiftly throughout the years and shows no signs of slowing down. Smalley's voice and Sam's guitar hooks blend together smoothly as always throughout the entirety of this EP. Featuring vibrant artwork by Austria's Stefan Beham. Down by Law is a punk rock band formed in 1989 by Dave Smalley, former vocalist of ALL, Dag Nasty, and DYS. The band has recorded 7 studio albums and stayed with Epitaph Records until 1998. The band continues to the present day and has since released albums on Kung Fu Records, Dry Heave, Go-Kart Records, Theologian Records, and DC-Jam Records.